You may have seen him strolling into the library during the late afternoon as he makes his way to the newspaper rack. To look at him, you would never know that this quiet man with laid-back mannerisms set impressive records during his time at Elon. Bryan Burney ’81, a human services major and business minor from Burlington, excelled in football and track. He set his first track record during his freshman year in the high and intermediate hurdles in 1977. Between 1977 and 1979, he made the All-Conference team twice and was named most valuable athlete three times at the Carolinas Conference track meet. He set many other records for Elon and for the conference, excelling in the 440-relay, the 120 high-hurdles, the long jump, the 440-hurdles, the triple jump, and the mile relay. He was selected Elon’s Most Valuable Player three times. 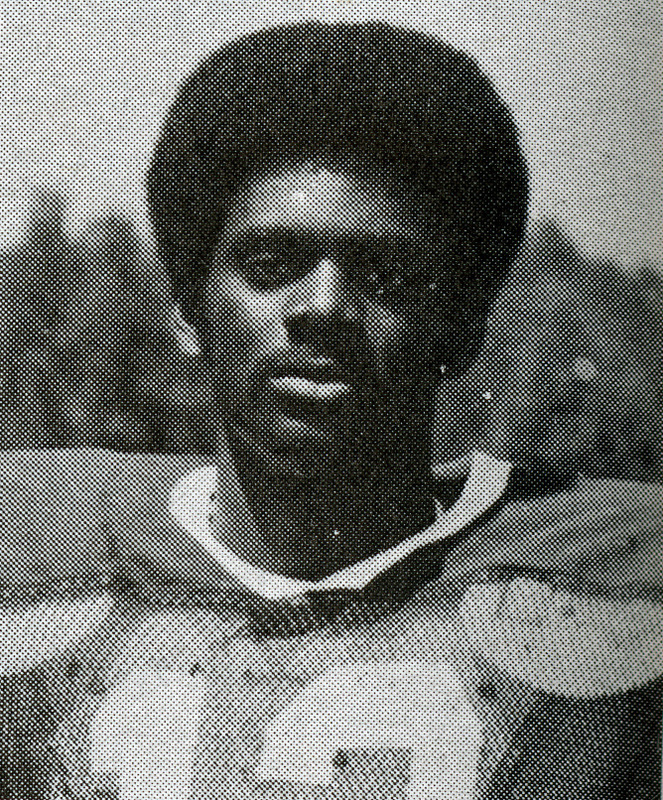 In football, Burney received All-Conference, All-District, and All-State honors during the 1978 season, and with 13 interceptions, he set the season-single interception record. Coincidentally, Elon finished that season with a 11-2-1 record and ranked second in the National Association of Intercollegiate Athletics. As co-captain of the 1979 football team, he was named to the CoSida Academic All-American team as well as being named to the All-Conference and All –District teams and receiving All-State honorable mention. His contributions to the team led to their 1980 NAIA National Football Division I Championship title. During his time at Elon, Burney set the career interception record with 23 and made 83 unassisted tackles. In recognition of his athletic accomplishments, Burney was inducted into the Elon Sports Hall of Fame in 1991. Burney describes his time at Elon as “the best four years of my life.” At that time, there were only about 60 African American males and roughly 20 African American females on campus, and they all knew each other quite well. Burney was a member of the gospel choir as a way to stay connected with the other African American students. Besides classes, though, most of his time was devoted to athletics. Burney says he ran track in order to stay in shape for football. Football practice was grueling, he says. He served as the team’s “live dummy” during his freshman year, which meant he took a lot of hard hits. He recalls the practice field was where Belk Library stands today. The Rich family home and garden were also near the practice field. The team had “cabbage patch drills,” during which they would practice passes, and the balls would sometimes land in the garden. Burney is especially proud of being on the team that won the National Championship title in 1980. The bonds Burney made with his teammates have remained strong to this day. His stories left such a positive impression on his daughter, Kimberly, that she decided to attend Elon. Kimberly Burney graduated in 2004, and her dad proudly refers to her as his “right hand.” Kimberly, who majored in biology and chemistry and is now a nurse, talks with her dad daily and frequently visits her parents to ensure they are in good health. She is also the only one of his three children who attended Elon, so the two have an extra special connection. This entry was posted in Alumni, Athletics, Faculty and Staff and tagged African Americans, championship, football, Sports Hall of Fame, track. Bookmark the permalink.